Newborns are a big deal! The arrival of a newborn to a family is a life-changing event and it’s probably one of the most photographed family occasions alongside a wedding, right?! A brand new life coming into the world and you want every moment captured. 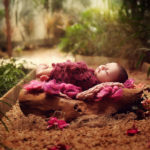 There are tons of newborn photographers in Mumbai who shoot in many different amazing styles. My style is always minimal. Why do I love minimal? Because every baby is beautiful, and I like to ensure that the baby is always the main focus in my newborn images. Trained into newborns and having photographed over 350 newborns over a span of 2.5 years I can surely say it is best to have an in-home photoshoot over a studio shoot. 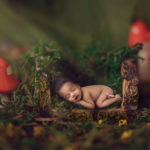 So, why should you decide to have an in-home newborn session, and why should you book it with Shivani Goyal Photography? Leaving the house with a newborn is not always easy I have one child, I get it! Trying to leave the house with a newborn is not a simple task! Once you’ve packed all those nappies/wipes/nappy bags/bibs/feeds/dummies/hats/back-up outfits, you’re already utterly exhausted! By coming out to you, the whole experience is already much more relaxed. You don’t have to rush out the door to meet me on time for Baby Photoshoot, you already have everything to hand at home and I can set up all my equipment while you can relax and I will fuss over you all! Kids get bored waiting around. It’s as simple as that! 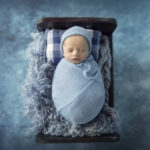 My newborn photography sessions are never rushed, and while I’m concentrating on photographing your newborn, older siblings are free to do whatever they want – it’s their home, after all! I can include your pets too I adore including family pets in all of my sessions, even during newborn sessions! Newborn photoshoot in your home means you can include your pets in your portraits, whether you have a dog, cat or even something a little more unusual! In many Indian culture people are not allowed to move out of the house before the newborn turns 40-45 days. Your surroundings are unique Your home is like no other. You have decorated your home in a way which reflects your unique family and your individual tastes, which I just love to capture the newborn photoshoot. Whether your home is bright, airy and modern or cosy and traditional, your newborn photographs will always reflect YOU. You want to remember the nursery You spent your pregnancy decorating the nursery to the way you want. You probably spent lots of time in there, not quite believing that a tiny human would soon be occupying the beautiful space. You want to remember what it was like, and you want to remember your beautiful newborn in it. You want to remember the natural moments Babies cry, babies need soothing and cuddles from their parents. I’m always sneaking around, catching these little moments, that I know you will never want to forget. You can still carry on with normal life I always aim for my sessions to be super-relaxed. If you’re hungry, go and eat! There are no set meal-times with a newborn in the house – I remember this very well! You’ve probably spent half the previous night tending to your newborn, so grab a cup of tea and put your feet up while you can. Your wardrobe is instantly accessible! I always love when client’s style themselves, they know exactly what kind of photos they want and they know what to wear in order to achieve the look they want. But sometimes, client’s can be unsure of what exactly they want (and that’s perfectly ok!). If an outfit change is necessary, I can guide you with items that will work well in both terms of colour and style. I love what I do! This is 100% true. Photography to me, was always more than a hobby. It was like an obsession that quickly took hold, I wanted to photograph everything, everyday, all day! And here, a few years down the line, the passion is still as strong as ever and I ensure that I put my absolute all into every client I work for – if I wouldn’t have it on my wall at home, then it simply won’t do. If you are pregnant, or know someone who is, and you would like to discuss investing in an in-home newborn photography session, please contact me any time! I offer this service all over in Mumbai, Thane, Navi Mumbai. Thank you for reading – and for your amazing support as always!